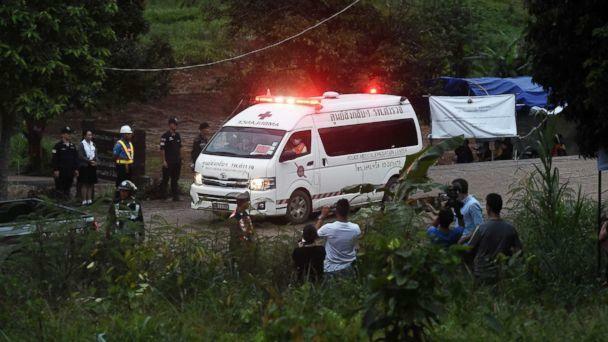 An hours-long subterranean rescue mission was launched Sunday morning in Thailand, buoyed by the prayers and support of the international community. By nightfall, elite dive teams trudged out of the muddy mouth of the cave with four of the teenage boys. 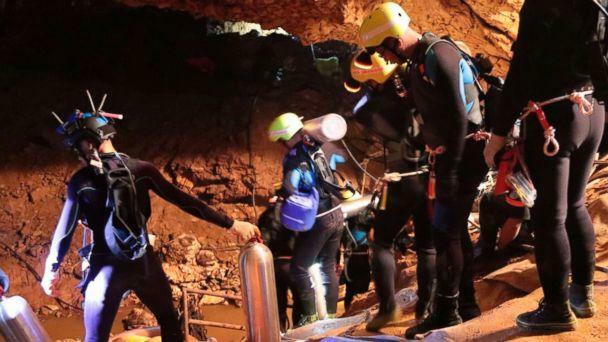 Fighting floodwaters, rapidly dropping oxygen levels and racing against an impending monsoon rainstorm, the rescue operation began at 10 a.m. local time when 18 international divers entered the cave. Ten of the diver headed to the chamber deep inside the underground labyrinth. A little over nine hours later, the divers emerged from the cavern with the first rescued boy, authorities said. Osatanakorn said that the oxygen level inside the cave needs to be replenished before rescuers embark on the next phase of the mission. "We should be ready in a short period of time. When the next operation will proceed, I cannot give you a definite time. It's about more than 10 hours away, not more than 20 hours, but we have to observe the conditions," Osatanakorn said. "It has to be stable like today. If it's stable like today, and we are sure, we can operate as soon as possible." The operation to save the once-stranded 13 appeared doubtful just days ago as rescuers from Thailand, the United States, Australia, China and Great Britain brainstormed to find a way to remove the soccer team despite facing treacherous conditions and having to train boys, who did not know how to swim, to perform the most perilous type of diving even for the most experienced Navy SEALs. 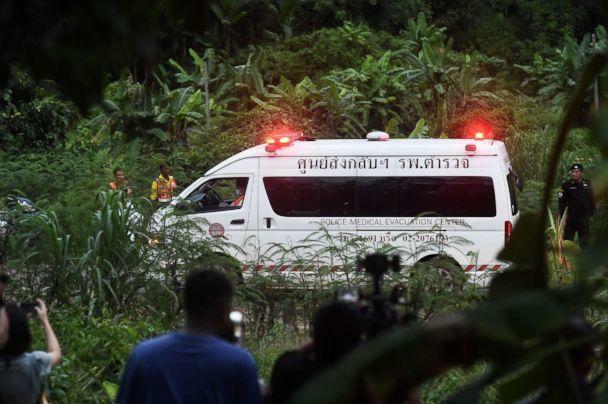 The high drama in Thailand's longest cave even drew help from American billionaire businessman Elon Musk, whose SpaceX designers set aside their rocketship venture to build a "kid-sized" submarine to free the trapped boys. 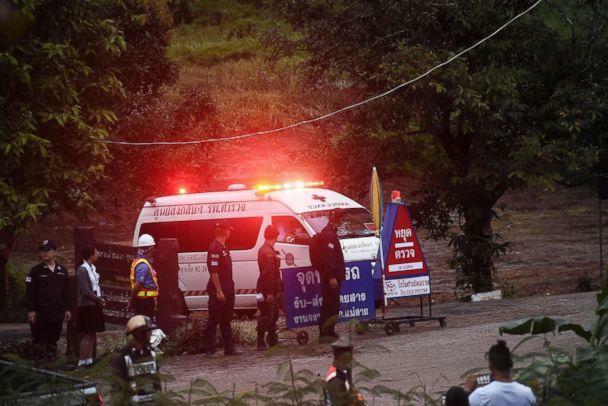 Authorities said at a press conference Sunday morning in Chiang Rai province that the decision to launch the rescue operation came after careful analysis of eroding conditions inside the cave, where oxygen had dropped to alarming levels and the threat of monsoon rains approached. 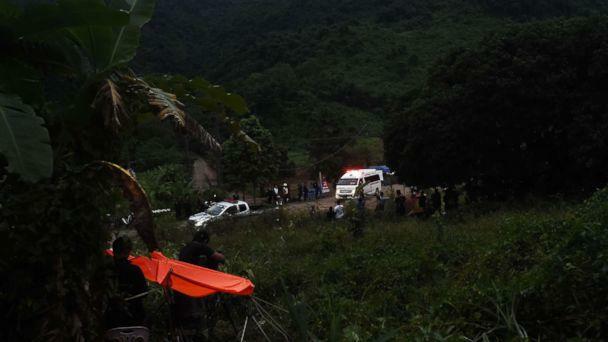 "We have a fraction of a second to help them come out," provincial Osatanakorn said as the rescue operation commenced. "They insist they are ready to come out," he said of the boys. "Family has already been notified." At 10 a.m. local time Sunday, 13 foreign divers and five Thai Navy SEALs entered the cave to begin the operation. Ten divers headed to chamber 9, where the boys are located, while the others took positions along the difficult route out of the cave system. 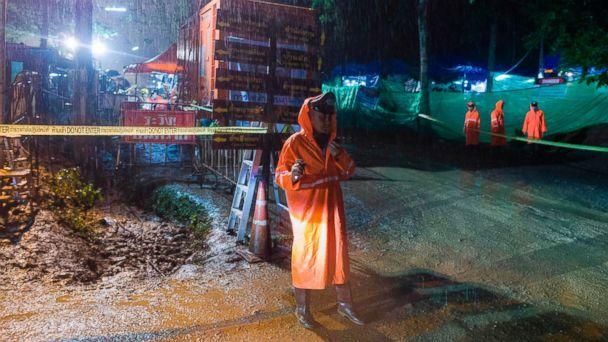 Each of the rescued kids was accompanied by at least two divers who navigated them through an up-and-down obstacle course of narrow chasms and deep pools of floodwater that required the boys to use SCUBA gear to breathe, officials said. 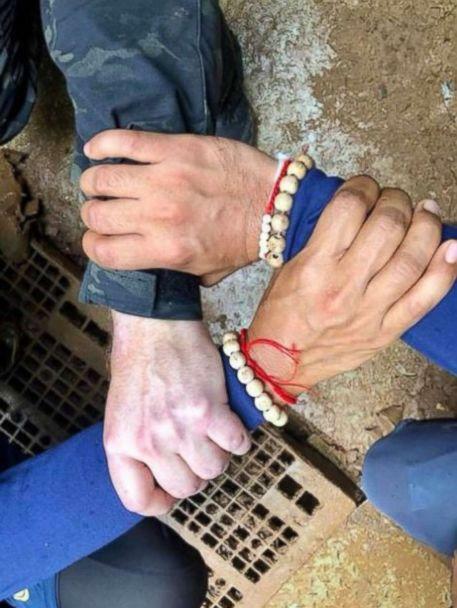 The team of rescuers shared a photo on Facebook linking arms, with the message, "We, the Thai team and the international team, will bring the Wild Boars home," a reference to the soccer team's name. The most challenging part of the journey to safety is the first leg of the trip to get to the third chamber. According to the plan that was successful today, rescuers and the four boys were given one hour of rest in the third chamber before they set out on the last part of the underground odyssey on foot, walking through muddy areas or floating in areas. "There are two obstacles, which are water and time," Osatanakorn said. "We have tried all possible ways to get the boys out, but sometimes we can’t win over nature." Water levels were down 30 percent, the lowest since the boys were located on July 2. Crews have been pumping water from the cave round the clock. Officials forged ahead with the plan to bring the boys and their coach out the way they went in after ruling out an alternative plan of drilling escape holes into the cave from above. Throughout each step, the boys were kept abreast of the evolving mission to save them. The parents were also made aware of the risks involved, Osatanakorn said. "Experts' assessments indicate that today is the most ready we can be," said Choorat Panngao, Provincial Police Region 5 deputy commander, before the rescue operation got underway. "If we don't do it today we will lose our opportunity." 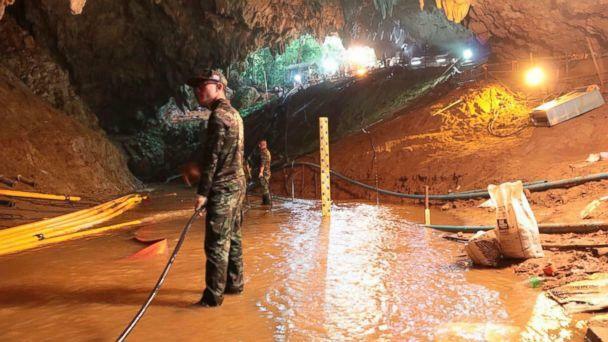 Seasonal monsoon rains are forecast to hit the region held off over the weekend and bolstered efforts on the ground to remove floodwater from the cave so that rescuers could walk, rather than swim or dive, from the main entrance to an inner chamber serving as a command center. While keeping the water level low in the cave was one battle, another was keeping safe oxygen level up. 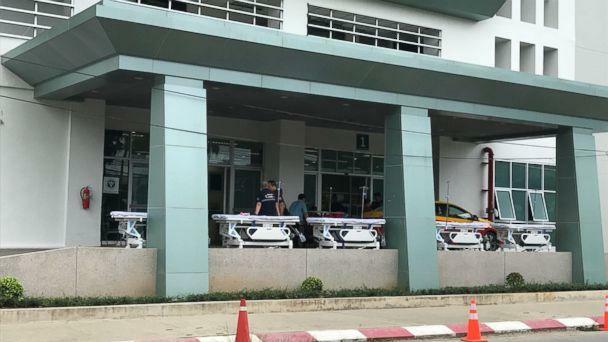 Workers have tried pumping "pure air" through a tube into the chamber where the remaining boys and their coach are while pulling back nonessential personnel in an effort to preserve oxygen, Osatanakorn said. Panngao said 13 ambulances and helicopters were stationed outside the cave, poised to rush the boys to the hospital as soon as they were out. ABC News' Adrienne Bankert, Rex Sakamoto and Mark Osborne contributed to this report.